The sport gave me so much since I won two Ironman-titles - the fastest in 8:54 - and the World- and European Championships as an agegrouper. I love to share my experience and a lot of athletes trust me and my coaching skills. As more and more athletes asked for help and coaching I decided to build these training plans here beside my 1 on 1 coaching. So more athletes can start their journey towards their personal goals. I'd be very happy if you will be one of these. This plan ensures that you will have everything you need to reach your goal of breaking the 45 minutes in a 10k race. You'll have 4 run workouts each week. To be sure you did everything needed, you have to do the run workouts, but I personally recommend to do the recovery sessions as well, as my experience is that well maintained muscles are faster;-). So my recommendation is 1-2 massage, yoga, Blackrolll or stretching sessions a week extra. So with this plan you can be sure you have everything you need and my full expertise as a pro athlete and physician. This is a demanding interval-session. Please note that everything during this workout except the intervals should be easy, while the intervals should be very hard and demanding. This run is tempo run in the in Zone 3, near to the sweet spot, which is demanding but very effective training. This is an aerobic run in Zone 2 to build your endurance. Please stay within the zones, to ensure your own success. #SundayRunDay. Sunday is the best day to build your basic aerobic system, freshen your mind and make sure you'll be at the top of your game on raceday. Sunday will always be the longest run of the week followed by a rest day on monday. This gives your body enough time to rest and rebuild. So always remember the restday makes you stronger. 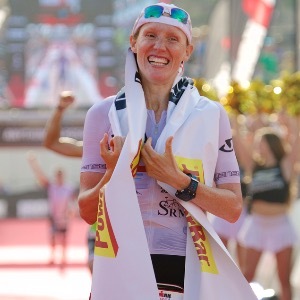 I'm an IRONMAN-Pro, 2x Ironman Champion with a PB of 8:54 and - as an Agegroup-athlete - Ironman World- and European Champion. I love to share all my experience as coach. Seeing my athletes succeed is the fuel of my life and one of the best feelings I know. So if you also want to succeed and think we can be a good team. Just get coached by me or buy one of my training plans. I'll help you become who you want as an athlete.